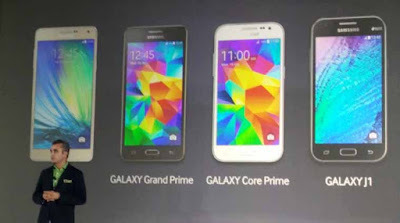 New Delhi : South Korean multinational conglomerate company Samsung on Monday launched its new Grand Prime 4G smartphone, priced at Rs.11,100, expanding its 4G portfolio in India to 14 models.The new smartphone comes equipped with long-term evolution (LTE) capability. “Samsung is committed to develop innovative products on basis of deep consumer insights. With the 4G variant of the Galaxy Grand Prime, we continue to expand our product offerings in the mid segment with the aim to provide uncompromised smartphone experience, at very competitive prices,” said Samsung India vice president (marketing, mobile and IT) Asim Warsi. The phone will come with a five-inch display and a 1.2GHz quad-core processor backed by 1GB RAM. The phone has internal storage of 8GB expandable to 64GB. The rear camera will be a 8-megapixel auto focus with LED flash and selfie camera will be 5-megapixel. Grand Prime 4G will come with Android Lollipop 5.1 and will draw power from a 2,600 mAH battery.